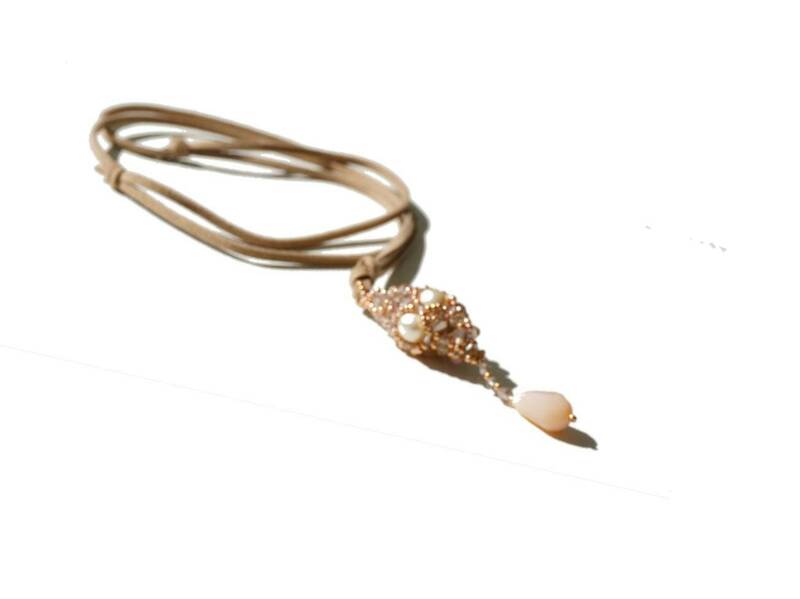 Long leather strap chain with a different bead-woven pendant, which is worked like a Fabergé egg. 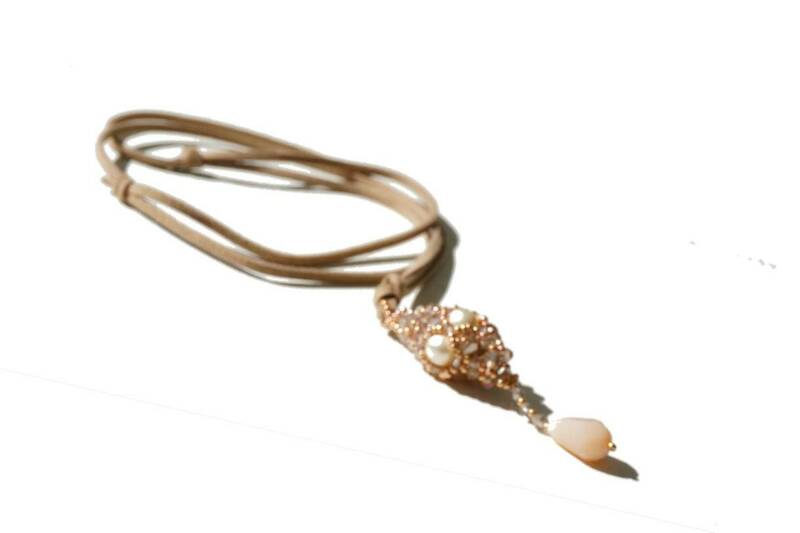 Freshwater pearls, faceted glass beads and Japanese miyuki seed beads were used in rose gold. 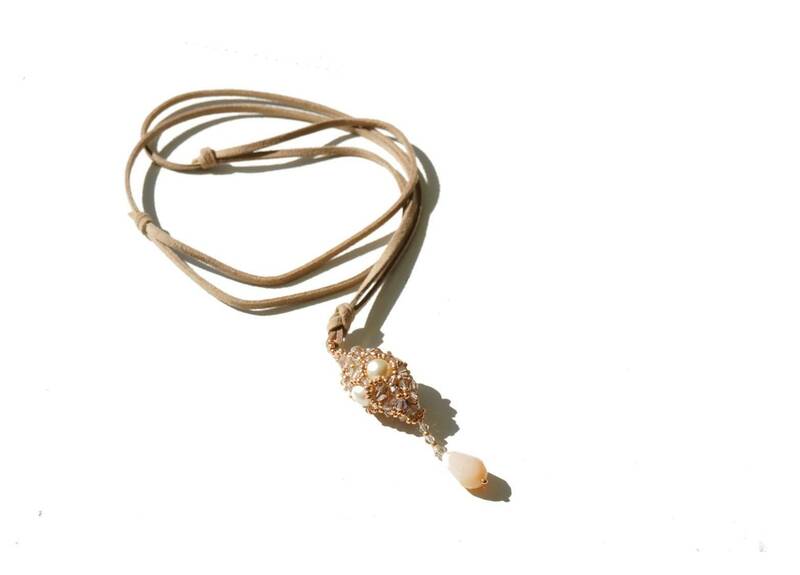 The cone-shaped pendant, which is woven from these beads, also has a cream-colored faceted glass drop bead as a finish and is approx. 3.5 cm or incl. drop bead just under 7 cm long. 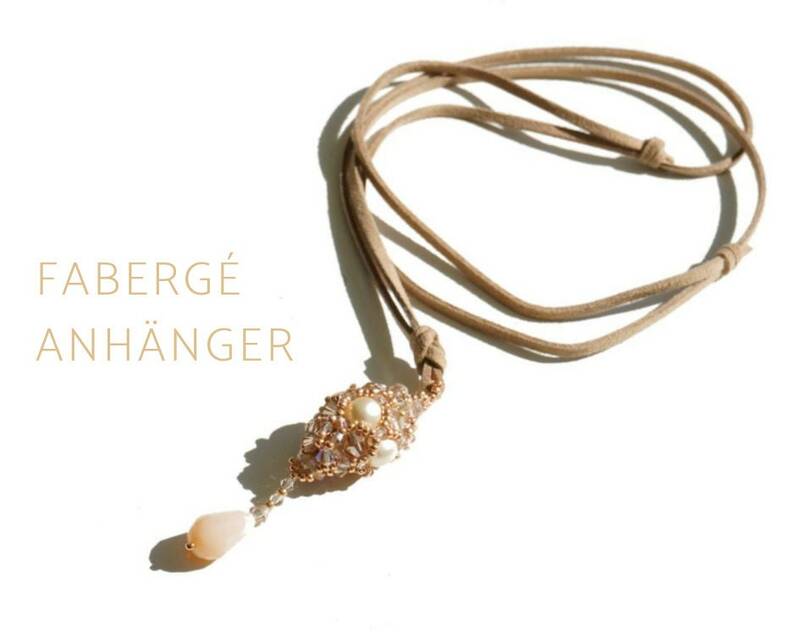 The pendant is attached to a beige leather strap, which can be adjusted by two sliding knots in length (max. Approx. 60 cm). 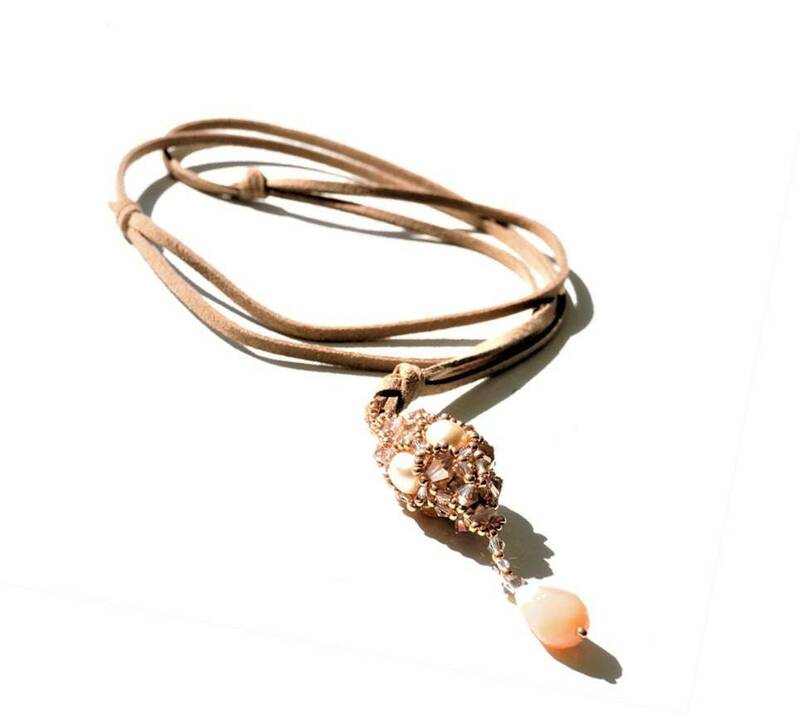 This necklace is a handmade unique and comes in the organza bag. 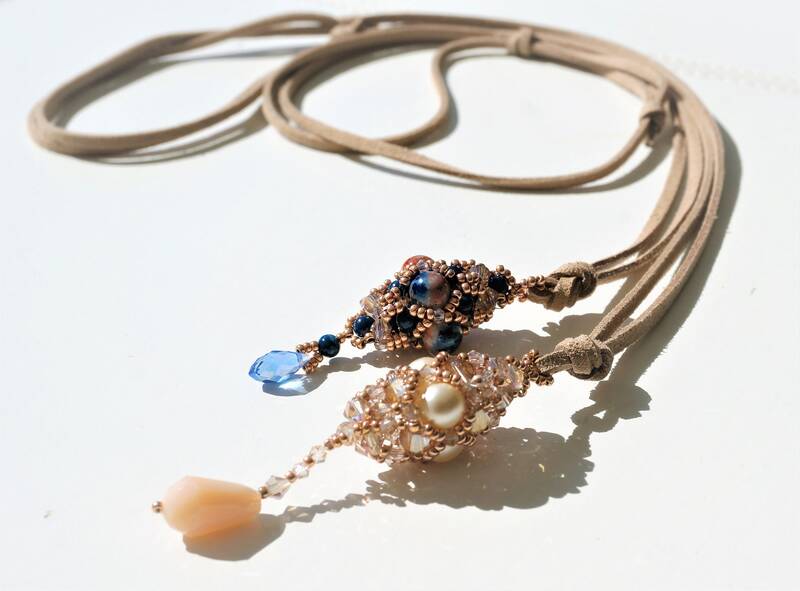 Note: The blue pendant shown on one of the photos is not included in this offer, but is also offered in our Etsy shop.